First invitation received as their new appointed head of the department in Information Technology and off course my first time in Olivarez College Tagaytay to experience the Sports Fest in connection to our 11th year founding anniversary. 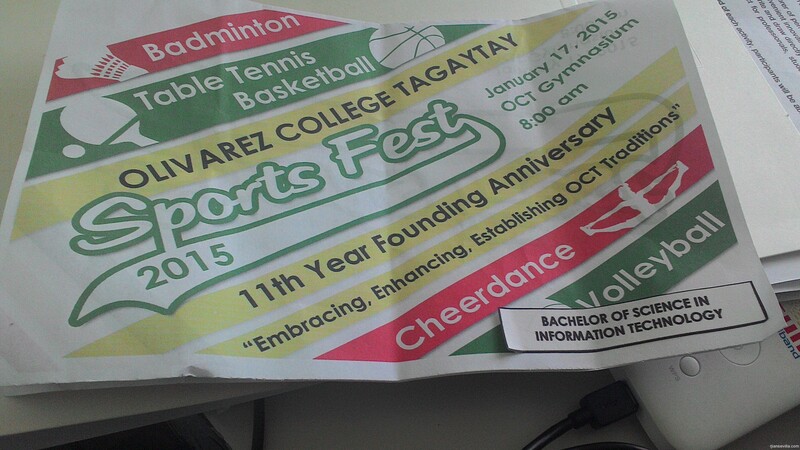 Sports Fest 2015 is scheduled on January 17, 2015 at OCT Gymnasium 8:00A.M. with the team "Embracing, Enhancing, Establishing OCT Traditions".